mathematics Related Most Question With Answer Set 220 Current Affairs, Aptitude And Join the best Online Test Series & get all India Rank, Logical Match. 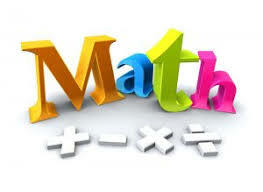 Logical Problems · Number Series · mathematics and iLCM & HCF, important Question & Answer with solution & Formulas in Hindi & English And Important Questions with Answers to Numerical Ability asked in Gramin Bank Office Assistant Exam And These all questions will very helpful to you for the forthcoming Bank exams, SSC CPO SI Delhi Police and Rajasthan Police and All Competitive Examination. Question(1) Monu can do one task within 12 days. Sonu is 60% more capable than Monu. According to how many days Sonu and Monu will do the same work together? मोनू एक कार्य 12 दिनों में कर सकता है | सोनू ,मोनू की तुलना में 60 % अधिक सक्षम है | तदनुसार सोनू तथा मोनू मिलकर उसी कार्य को कितने दिनों में कर लेगे? Question(2) 12 women can complete one task within 12 days, if 6 women leave their work after 6 days, how many days will it take to complete the work? 12 महिला एक कार्य को 12 दिन में पूरा कर सकती है यदि 6 महिला 6 दिन के बाद कार्य छोड़कर चले जाये तो कार्य पूरा होने में कितने दिन और लगेंगे ? Question(3) Ram can complete any work within 12 days. Mohan works 60% more than Ram. How many days will Mohan take to accomplish the same task? राम किसी कार्य को 12 दिन में पूरा कर सकता है | राम की तुलना में मोहन 60% अधिक कार्य करता है | उसी कार्य को पूरा करने में मोहन कितने दिन लेगा ? Question(4) RamSohan Mohan ends a work in 10, 15, 12 days, then how many days will he end in that work together? यदि राम सोहन मोहन किसी काम को क्रमशः 10 , 15, 12 दिनों मे समाप्त करते है तो तीनों मिलकर उस काम कितने दिन में समाप्त कर देगे ? Question(5) Rohan and Ayush can do one work in 18 and 24 days respectively. They work together for 8 days and then goes to Rohan. Will Ayush complete the remaining work in the following time? रोहन और आयुष एक काम को क्रमशः 18 और 24 दिन में कर सकते है | वे एक साथ 8 दिन काम करते है और तब रोहन चला जाता है | शेष काम को आयुष निम्न समय में पूरा करेगा?